Apple co-founder Steve Wozniak hasn’t been in the headlines much in recent years, but that may be changing depending on what happens with his newest venture: WOZ U, a brand-new online learning platform aimed squarely at transforming the way tech education happens in order to address a widely perceived skills gap in the 21st century. Will WOZ U put Wozniak back on the map? Wozniak played a critical role in getting tech juggernaut Apple off the ground. He single-handedly developed Apple’s very first product in 1976, the Apple I, which Wozniak priced at $666.66 because he liked repeating digits (not because it is the “mark of the beast,” something of which he was unaware at the time). One of the first Apple I computers ever produced sold for $815,000 in a 2016 online auction (source). the internal workings of these early computers (the circuit board designs and operating system) while co-founder Steve Jobs, on the other hand, focused on innovative casing for Wozniak’s creation. In those early days of working out of a garage, Jobs was surprisingly stingy in terms of rewarding employees with stock options. Wozniak thought this wrong and handed out $10 million worth of his own Apple stock to many of those employees. After being severely injured in early 1981 when a plane he was piloting crashed during taking off, Wozniak left Apple and produced two music and culture events to celebrate new technologies and rock music. They were called US Festivals (us being the pronoun, not the country) in 1981 and 1982, but both events lost millions of dollars. In 1983 Wozniak reluctantly returned to Apple, but just wanted to be an engineer in product design as he was not interested in management. He left the company again in 1985, dissatisfied with its direction, but remains on the books as an employee to this day, receiving a modest stipend. Whether or not WOZ U can put Wozniak back on the map remains to be seen. As Wozniak himself puts it in a press release (source): “Our goal is to educate and train people in employable digital skills without putting them into years of debt. People often are afraid to choose a technology-based career because they think they can’t do it. I know they can, and I want to show them how.” Although it sounds as if affordability is a primary concern, actual tuition costs have yet to be divulged. At present, the only offerings are the nine WOZ U Online courses that make up its Full-Stack Software Developer curriculum and the 18 courses that make up the Computer Support Specialist curriculum. The Computer Support Specialist curriculum is meant to give training in all the fundamentals of providing technical assistance to computer users, making use of lots of simulated tasks and scenarios. The program takes 27 weeks to complete and prepares students to take as many as a dozen different certification tests such as Comptia A+, IC3 Digital Literacy, and Test Out PC Pro. The Software Developer curriculum can be completed in as little as 33 weeks, and it promises to be more than a mere traditional coding boot camp. After all, there is a big difference between gaining raw coding skills and being able to play the role of a professional software developer in an established or emerging technology company. And therein lies a key aspect to what WOZ U is attempting – to get people ready for a real career and even help place them in tech companies. One way the new learning platform will do this is through its WOZ U Mobile App that helps make matches between students and the technology-based career best suited to them. It achieves this through an aptitude test to reveal in which areas they are most likely to succeed based on their strengths. In addition to this, students will also receive comprehensive career services that include building a resume, interview training, and help identifying relevant positions in related fields. Finally, WOZ U is establishing partnerships with a wide range of tech companies and students will be given access to a digital employment networking platform called WOZ U Connect. In 2018 WOZ U plans to expand curriculum offerings to include Data Science, Mobile Application, and Cyber Security. While the platform is being touted as a largely online learning experience, Wozniak’s vision includes the WOZ U Academy, physical campuses in at least 30 cities around the world featuring one-to-one instruction, which it believes is the most advanced teaching technology for adaptive and progressive learning styles, combined with career advisors who will guide students into their technology career path. Students will be given the option to engage in a full-immersion experience or to learn at their own pace. The company is also working on the WOZ U Accelerator program, scheduled to launch in 2019, wherein school leaders will identify top students and help get them placed in tech companies along with skills related to raising capital for the startup environment. The Accelerator program is described as fully-immersive, lasting 12-16 month, and will include a fully-paid internship. 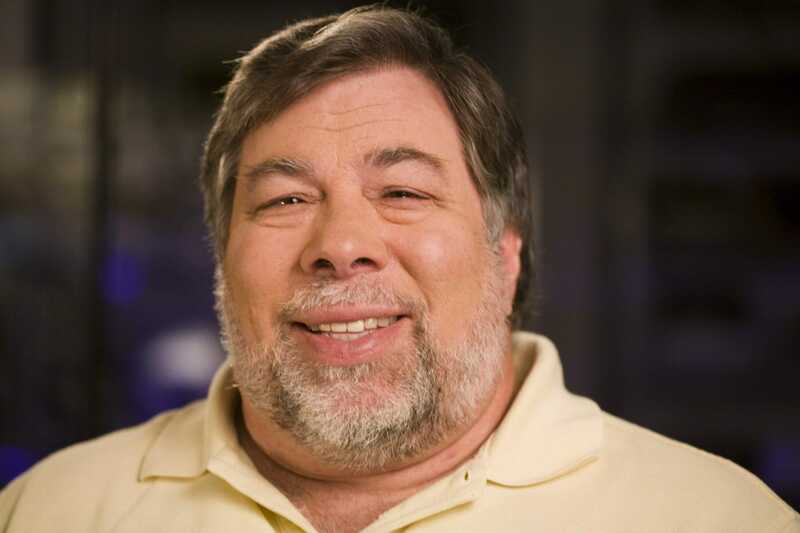 Acknowledging Wozniak’s belief in the importance of tech education for children and youth, another aspect of the operation is WOZ U Education – STEAM (science, technology, engineering, arts and mathematics) programming for K-12 students and teachers. The idea is to get students ready to successfully enter WOZ U to launch their tech career while at the same time offering a WOZ U Certified Educator program for teachers aimed at developing the teaching knowledge needed to become co-collaborators with students in technology-driven, project-based learning. Finally, WOZ U Enterprise will work directly with businesses to help them recruit, re-train and retain employees based on greater knowledge of the company’s current systems along with new technologies that address company-specific needs and requirements. Some are eyeing this new venture from Wozniak with a critical eye, pointing out first that it’s not a university and will result in a “certificate of completion,” not a degree like students can obtain through other platforms such as Coursera. Some are calling the “Software Developer” curriculum designation somewhat misleading. A closer look at the courses in the curriculum look more like a kind of intro to various web developer front-end and back-end frameworks and languages along with cloud disciplines. It’s interesting to note that WOZ U is described as being “part of” the Southern Careers Institute, a for-profit educational institution focused on training workers. One of its offerings is a “Software Developer” curriculum made up of various web technologies that takes 33 weeks to complete, which makes the WOZ U offering seem like a mere re-hashing and branding of the same program. Meanwhile, the Computer Support Specialist curriculum looks to be little more than something to shore up the skills of help-desk staffers – not exactly an earth-shattering offering. And the lack of information about actual tuition costs has only increased the skepticism some have expressed. It’s too early to say whether WOZ U will be able to deliver on its rather “full stack” of promises to transform tech education, but you can bet it will be something tech industry aficionados will be keeping an eye as the specifics of the venture continues to emerge.